Late-year tax planning is often a matter of reviewing your inflows and outflows. For instance, income from capital gains can be subject to both capital gains tax and the 3.8% Medicare surtax. 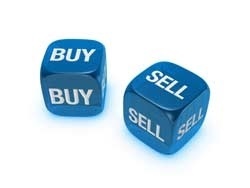 To offset capital gains, you might sell investments that have lost value since you purchased them. Net capital losses can be used to reduce ordinary income by up to $3,000. A tax-saving examination of your portfolio is a good time to re-balance your holdings between asset classes. On the outflow side, look for opportunities to maximize deductions. Accelerate your charitable donations and consider donating appreciated securities you have owned for more than one year. This strategy can offer double value — you get the benefit of a deduction at fair market value, and you don't have to pay tax on the gain. Another important fourth quarter exercise is an analysis of your federal and state income tax withholding's and estimated payments. These can be affected by personal events such as a change in marital status, the sale of your home, or a new job. Effective tax planning is a matter of finishing well. Contact our office to discuss steps to make the fourth quarter a strong one for you.